Sorting through the hundreds of contact lens products on the market and finding the best lens for a patient is an everyday dilemma for contact lens fitters. The large contact lens database is constantly changing, as materials, designs, solutions and drops are added or discontinued because of technology and research developments. Print references – journals and guides – are fast becoming obsolete and stocking rarely-used trial lenses that occupy valuable office space just doesn’t make sense anymore. Practitioners nowadays want quick and easy access to resources. Forget about using the phone to determine if a specific set of parameters is available. More and more, they’re going online or using mobile devices for tools and references, including for contact lenses. At the time of writing, the online Contact Lens Compendium from the School of Optometry and Vision Science, University of Waterloo, lists 428 contact lenses and 65 solutions/drops that are available in Canada. However, it does not provide tools such as conversion tables (which the print version does) and calculators. A search for applications in both major smartphone operating systems at the Apple App and Google Play stores yielded the following download-worthy – and not-so-good – apps. It should be noted that price was not a predictor of app quality. This resourceful app is free with registration on its parent website, TheRightContact.com. It is mostly native (not web-based) with in-app web browsers for many of its views. It has a searchable database of over 2,000 contact lens products from over 150 manufacturers, conversion tables and calculators, contact lens-related industry news, a blog, press releases and more. It also has a series of video quick tips and tutorials from its engaging founder, optometrist Dr. Jason E. Compton. The app is relatively fast and crashes only very occasionally. While many of the contact lenses are not available in Canada, the “Advanced Search” tool for product availability is very useful. This easy-to-use app has the standard conversion tables and calculators with a bonus prism calculator. A rigid gas permeable (RGP) curve calculator was recently added to its latest version to calculate the base curve radius (BCR) of the initial RGP trial lens. It is fast, accurate and reasonably priced. This familiar clinical reference guide describes the severity of contact lens complications and can be used as a teaching tool to show patients the importance of adhering to their contact lens-wearing schedules, too. A “lite” version of the EyeDock app (below), it has conversion tables and uses both the lens rotation (55 CW/CCW limit) and over-refraction to calculate the new toric lens prescription, like The Right Contact app. Optometrist and creator Dr. Todd M. Zarwell, even offers advice, including pros and cons, on the different lens design options and how to modify a fit from the refraction and keratometry readings. The app is stable, fast, easy-to-use and accurate. A companion app to EyeDock.com, this app is free to its paid members. In addition to all the features found in the CL Calcs app, it has a searchable database for contact lenses, with direct links to the manufacturers and package inserts, as well as for topical therapeutic pharmaceutical agents (TPAs). Rudimentary at best, this app has a vertex distance calculator and gives the spherical equivalent for a spherocylindrical prescription in the minus cylinder format only. The oblique X-cyl calculator used to determine the new toric lens does not allow for the actual lens rotation on the eye. Instead, it gives the amount of apparent lens rotation and uses this in the calculation. Also very basic, this app has the vertex distance calculator and an oblique X-cyl calculator similar to the Opticalc Contact Lens Calculator. It is questionable whether the developer understands the difference between the axis obtained in a subjective over-refraction versus the axis rotation of the lens when it is on the eye. While the calculations are accurate, for the cost, it is slow to start up and freezes a lot. Two other noteworthy apps are: 1) the popular Eye Handbook (Free, Android & iOS) app, with conversion tables and a small Contact Lens Guide under its Physician Treatment tab, and 2) the indispensable Optics Clinical Calculator ($4.99, iOS), with conversion tables and calculators within it. Apps have become an integral part of our daily lives and are changing the way we obtain information and do business. 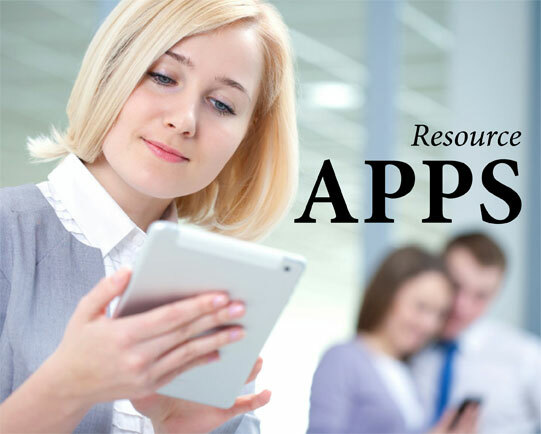 Thanks to the skill set of app developers, we are benefiting from the growing mobile app market this community has created. There remains room for the current contact lens app marketplace to grow. With the proper applications, resources and even complex contact lens computing tasks will continue to be readily accessible and easy to accomplish.